It is already April folks! Coming up this month on April 22nd is Earth Day. Today we are discussing what to teach children about Earth Day and why it is important. 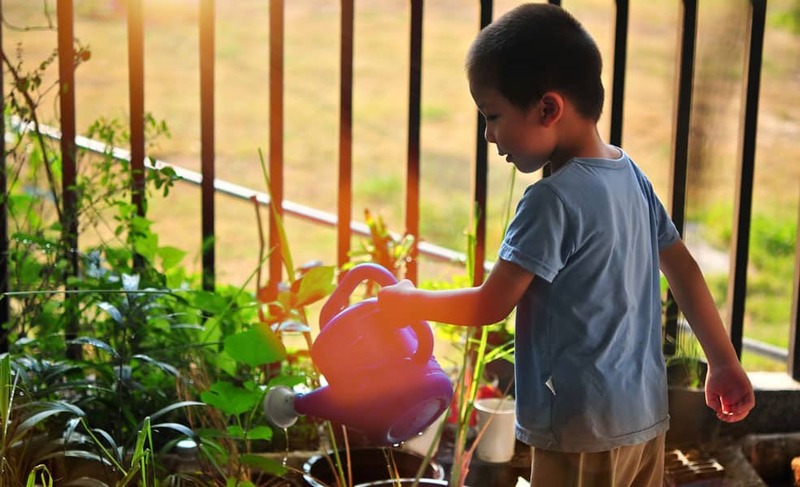 Earth Day is important for kids because it can instill a passion for bettering our planet and can help to educate children on the impacts on climate change. It also reminds educators to incorporate nature-based learning into every day. Essentially, it is important to use Earth Day as a springboard for carrying the spirit of environmentalism with us throughout the year. Children are the future generations who will make decisions about our planet, how it is understood, and how it is treated and so it is important for children to find wonder and joy in the natural environment at an early stage. For Earthy Day 2020, the Earth Day Network has a goal of planting 7.8 billion trees. Talk to children about the benefits of trees in reducing climate change, pollution, and protecting biodiversity. Transition into a science lesson about trees, what they do for the atmosphere, how they use carbon dioxide, how they support wildlife and how they support human communities. Talk about the kind of trees in the part of the world where you live, the characteristics of these trees and how they support the local ecosystems. Another important aspect of Earth Day is being cognizant of our energy use. Talk to children about the impacts energy use has on the environment, why we should try to reduce the amount of energy we use and how we can do this. Have them brainstorm ideas like turning off lights, walking or biking instead of driving, turning, and more! The source site mentions talking to children about recycling. This is a great starting place! Talk to children about sorting recyclable materials such as plastics and compost. Talk to children about the importance of compost and its properties. Recycling is a good start but we should also talk to children about the other 2 of the 3 Rs, those being Reduce and Reuse. Have children think of ways they can reduce the amount of garbage they create, and ways they can reuse items before throwing them out. Like with energy use reduction, water conservation is an easy concept to understand and have children discuss. What ways can we reduce the amount of water we use? Make sure you complete any discussions on Earth Day with how we can implement these ideas and initiatives all year long, and not just in April so that we all can enjoy the beauty that the Earth has to offer!